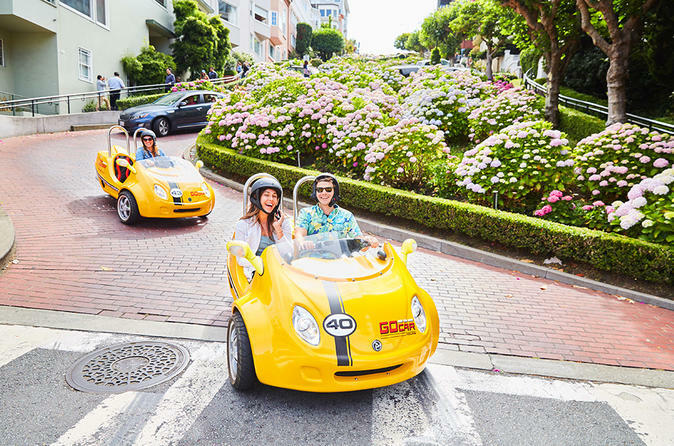 It's the most exhilarating, entertaining and enlightening way to see San Francisco - the first-ever GPS-guided storytelling car! The clever talking car navigates for you and points out the sights that bring San Francisco to life. Experience what the press is buzzing about, what visitors rave about and what Time Magazine has nominated "as one of the coolest inventions of the year". This custom narrated tour guided by GPS is the only tour of its kind in the nation. It takes you on an unforgettable journey around this beautiful city. The directions are clear, concise and informative, providing a unique experience for tourists and locals alike. Choose from two convenient pickup locations in either Union Square or on Beach Street near Fisherman's Wharf. Price is per person, based on 2 passengers per car.